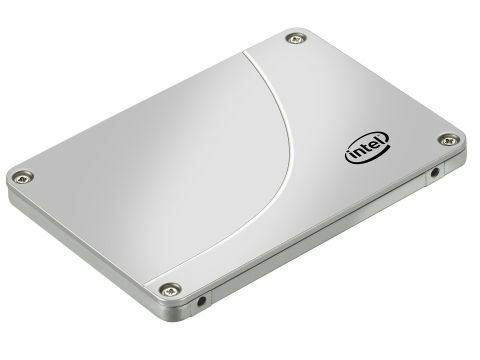 The 120GB could be the SSD sweet-spot, but can Intel's SSD 520 Series 120GB drive hit that head-on? Intel has done the obvious thing and stuck a SandForce controller in its desktop SSDs. If the larger members of the new 520 Series, like the Intel SSD 520 240GB, are a little punitive on pricing, what about the Intel SSD 520 Series 120GB, could it offer the best compromise between price, performance and capacity? One thing it certainly shares with the larger 520 Series solid state drive is Intel's SSD firmware development and validation regime. It will take time for the true long-term performance of this latest Intel SSD family to shake out, but Intel has a well-earned reputation in this area. The only slight snag is that smaller drives make for fewer memory chips and in turn fewer memory channels and a little less performance. The optimal drive for performance in the range is the Intel SSD 520 Series 240GB model. But that's a much more expensive drive. Instead this 120GB drive must do battle with the likes of the Corsair Force GT 120GB and OCZ's Vertex 3 120GB.